No one forgets their first trip up the Great Alpine Road. Spiralling its way from Harrietville up to dizzying heights, over glorious alpine fields with views as far as the eye can see, then back down to Omeo – you really will feel on top of the world. Dinner Plain is a must-see destination along Victoria's Great Alpine Road. This iconic village, with its unique alpine architecture, is about a 1hr 10min drive south-east of Bright, about 40min from Omeo, or about 4hrs 45min from Melbourne. The fastest and most common way of driving to Dinner Plain is via the Hume Highway, exiting at Wangaratta to join the Great Alpine Road. It's also possible to exit at Glenrowan and continue on to Snow Road, which cuts through the Milawa Gourmet Region. But this is not the only way to get here. In winter when the snow is falling, the southern route via Bairnsdale and Omeo is generally safer, with less snow and ice on the road. These two routes can be combined into a wonderful loop out of Melbourne that explores both the High Country and Gippsland. 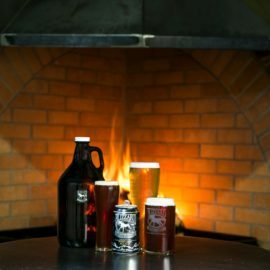 If you're coming down from the NSW border, the most direct route to Dinner Plain is to travel down the Hume Highway, exiting at Wodonga to drive south via Yackandandah and Bright. In the summer months, it is possible to loop around into Dinner Plain via Mitta Mitta, Falls Creek and Omeo. However, this road is closed in winter. Everyone is welcome at Dinner Plain. Unlike all the other major ski resorts, there is no resort entry fee here, so stopping in for a coffee won't cost you an arm and a leg. 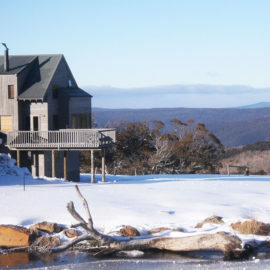 Importantly, if you want to visit Hotham – just 10km away – the Dinner Plain to Hotham shuttle bus ticket includes your discounted resort entry to Hotham, making it even more attractive to base yourself in Dinner Plain. With the snow comes fresh chilly temperatures, which means you'll need to take a few extra precautions. We recommend you use antifreeze and alpine diesel in your vehicle to make sure your car continues to run smoothly. And as the road can get snowy or icy, you will need to drive cautiously. For your safety, snow chains must be carried at all times during the snow season and be fitted when directed at signposted chain fitting bays. Please note: it is the law to carry chains in your car prior to ascending the mountain from either Omeo or Harrietville. Chains ARE NOT available once in Dinner Plain. You can hire chains at the base of the mountain from Hoys Harrietville Ski Centre or Hoys Chain Hire at 157 Day Ave, Omeo. They can also show you how to put them on. Please park in designated areas at your accomodation and around the village. Fines will be issued for vehicles parked in no standing areas. - Permits must be obtained from your accomodation provider and displayed when your vehicle is parked at Scrubbers End.